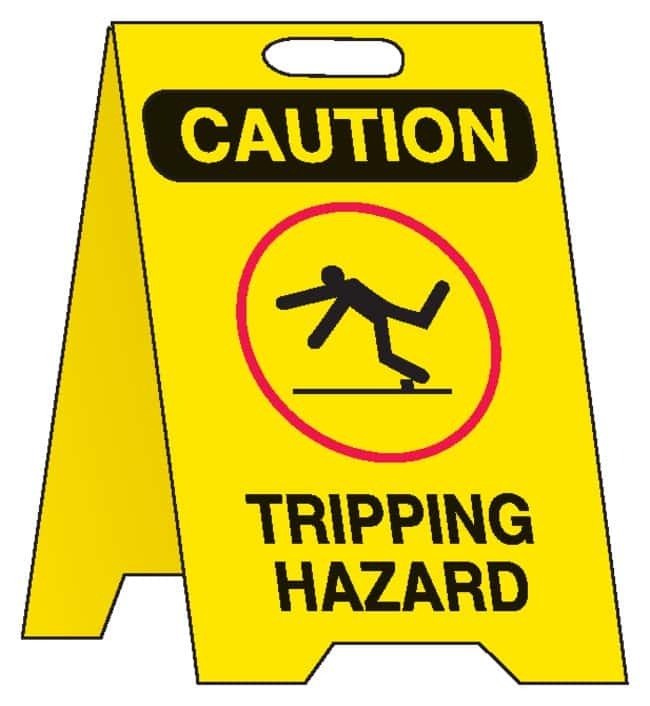 CAUTION: TRIPPING HAZARD (with PICTOGRAM) signs mark trip hazards walk areas. Made of durable polystyrene plastic, our floor stands help you send a clear message right where it is needed. Same message is printed on both sides of stand for better visibility.